Cassandry is a widow and Gerolt, her guardian growing up, comes to visit her and suggests for her to marry again. She turns down the idea instantly claiming she's to old. He suggests an arranged marriage between his son Rauffe and her 15 year old daughter Egelina (Gelli). 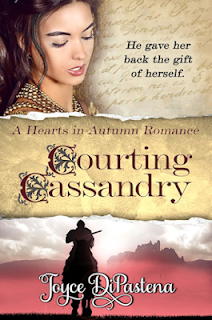 Cassandry couldn't have trusted anybody better than Gerolt with the safekeeping of her daughter. She brings Gelli to the engagement ceremony and plans to only stay long enough to make sure her daughter is settled in. Gelli is at a difficult age and refuses to marry Rauffe because she wants to join the nunnery. She only wants to be a nun to learn to read and write and Cassandry refuses to let her learn because it only causes problems. Someone is sending gifts to Gelli. Cassandry thinks one of Gerolt's knights might be courting her since Rauffe is very sickly and may not even make it to their wedding day. Gerolt needs an heir to take over his lands and if Rauffe doesn't marry soon and produce an heir he'll need to marry himself. Gerolt knows Cassandry doesn't want to marry, plus, if their children marry it's forbidden but Gerolt can't lose Cassandry again. After she married one of his knights, he missed her friendship. But she's keeping something from him and he can't understand why. 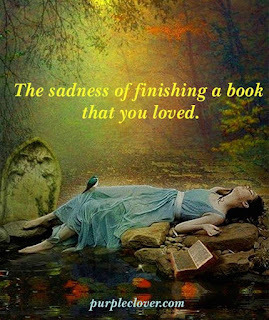 This is me after I finished reading Courting Cassandry.